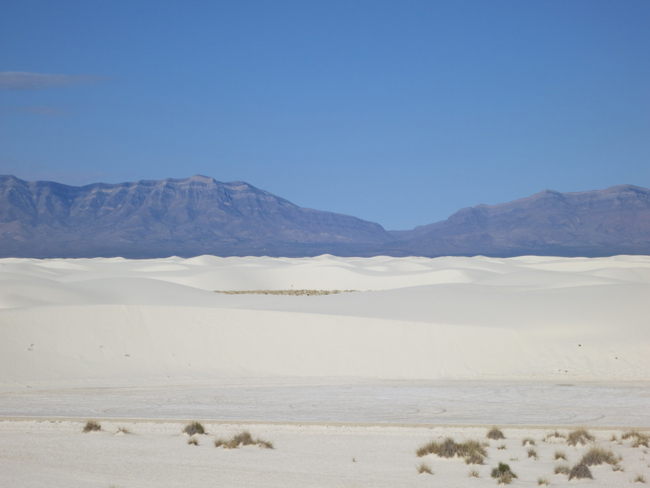 After Jean Paul and Sandrine Viollet of Atelier Viollet‘s visit to the gypsum quarry in New Mexico, they were curious to see more of the fascinating mineral. 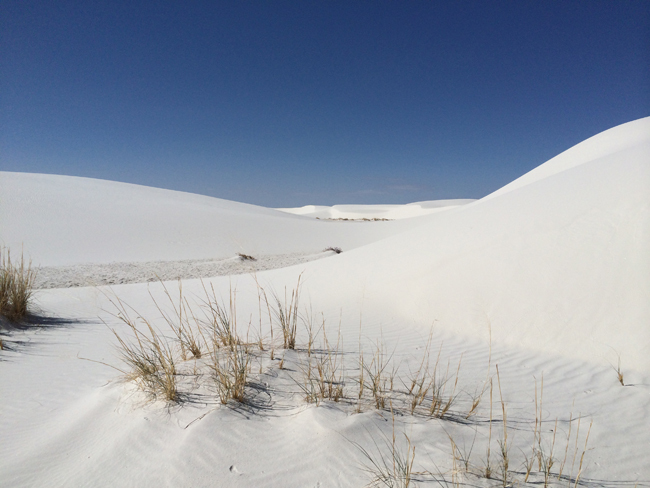 Thus, they decided to visit a nearby monument – the White Sands National Monument in southern New Mexico.Â Jean Paul and Sandrine were intrigued to see the dune field, which is entirely made up of gypsum sand. 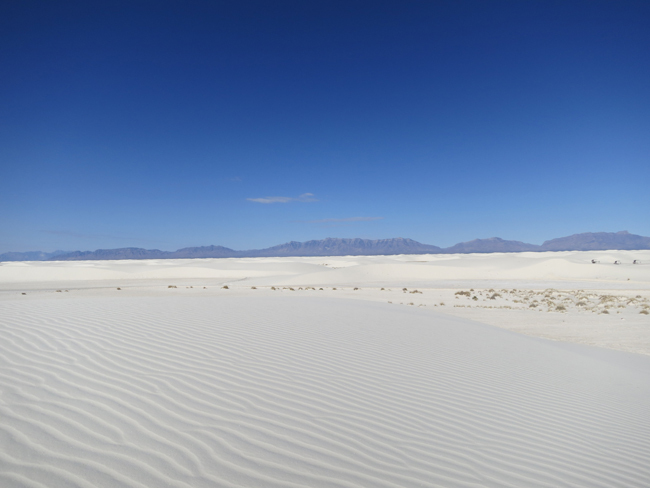 Close to the town of Alamogordo, White Sands is the world’s largest gypsum dune field as it expands over 275 square miles. 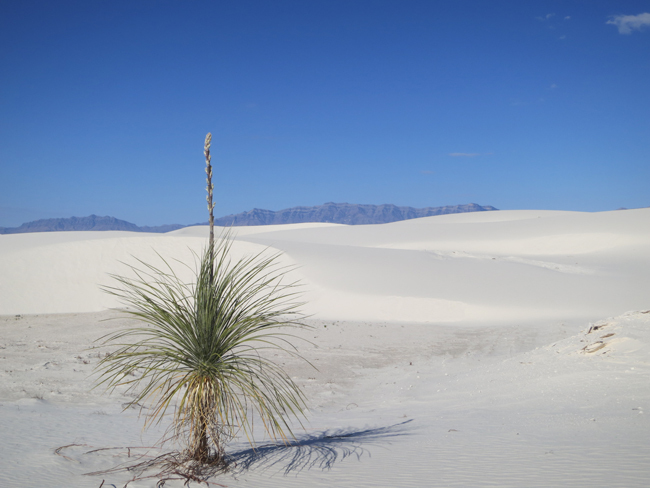 Gypsum is not often found in sand form, especially not to this extent, but the ideal conditions of the White Sands National Monument are what allow the dune fields to exist in such a massive state. 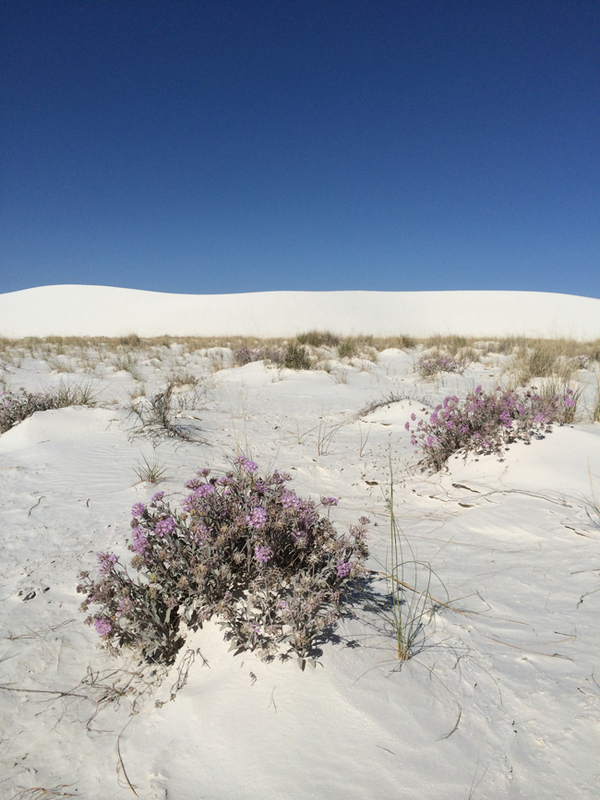 They were astounded by the serene and reflective environment of the gypsum dune field. 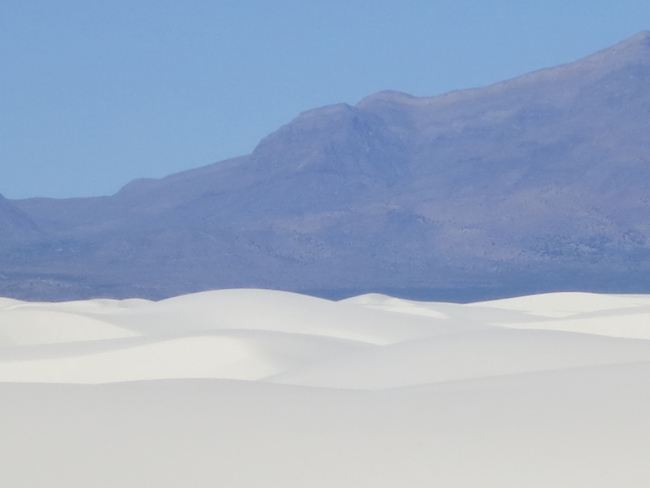 See more photos from their trip in our previous blog post.